The ratio of rights issue is at 87:38, meaning for every 38 shares held you have the right to buy 87 shares. The issue price is at Rs 12.5 – a massive discount of 56% from current price of Rs 28.5. The record date for the same is April 2nd 2019. Effectively you will need to buy at least 38 shares on or before 28th March 2019 to be eligible for the rights issue. The bidding for rights issue is between 10th-24th April 2019. Considering the dominant position of Reliance Jio in the market, Idea is finding it tough to compete. Debt on Ideas books has piled up to Rs 1,23,660 Crs at the end of Dec-18. Idea has paid roughly Rs 7,750 Crs as finance cost in last four quarters. Also the 5g spectrum auction is round the corner. Idea has incurred losses to the tune of Rs 10,700 Cr in last four quarters itself. Idea plans to pay a part of its debt via rights issue. Post payment of 25,000 Crs towards debt settlement, its outstanding debt will be still at an astounding number of Rs 98,500 Crs. Furthermore Idea will have nearly Rs 20,000 Cr debt maturing before FY21. So chances are it needs more rounds of funding. The rights issue needs massive subscription (it’s bigger than most IPOs!) and the idea of a rights issue is to ensure that promoters participate and a low enough price is offered. In any case if you are willing to apply for rights issue, below is how you calculate your effective price of buying post allotment of rights. Assume you have bought 38 shares at todays price of Rs 28.50. Then your effective buy price can be calculated as below. You will be holding 125 (38 + 87) shares post rights issue, hence each share will cost you approximately 17.364. If the stock price goes below that post record date, then you will be making a loss. Even if Idea isn’t a great investment (it might be, but doesn’t look like it) there could be an immediate opportunity in the structuring. Is There Some Kind of Arbitrage? There is a small window of opportunity. There is a high likelihood that issue doesn’t get fully subscribed. Of the 25,000 cr. the promoters (Birla and Vodafone) will put in about 18,250 cr. but the remaining 6,750 cr. has to come from other investors. That’s likely to be undersubscribed. You can bid for more than your quota too. If there is an undersubscription, you’ll get a higher allocation of shares at the Rs. 12.50 price than your share ratio entitles you for. To be eligible for the rights issue, you need to own at least 38 shares. Buy 38 shares at current price of 28.50 for a total price of Rs 1,083. Once you are eligible for rights issue, you can bid rights for how much ever quantity you wish for. Lets say, we bid for 1,000 shares. You’ll have to mark a lien of Rs. 12,500 on your bank account. Assume we get 500 shares (due to undersubscription by others) allotted at Rs 12.50, with a buy value of Rs 6,250. Now our effective buy value is 1083 (old shares) + 6250 (value of rights issue) = Rs 7,333. You will be holding 538 shares post rights issue. Thus your effective buy price will be at Rs 13.63. Assume the price on record date is Rs 28.5, post record date price will adjust to Rs 17.35, if issue gets fully subscribed. Your effective price being 13.63, you will make a neat Rs 2000. A return of 27.30% on your investment! This is not risk free, of course, and involves some faith in Idea’s stock price. If there’s undersubscription, the price can fall dramatically. You could attempt to hedge out some of this risk by shorting a future, but do remember that means you should apply for at least 20,000 shares of Idea (that will be around the new lot size). Assume you get only 87 shares (which is guaranteed, if you hold 38 shares). Then post record date, the price adjusts accordingly. Even if it share price falls to Rs 10 (a 42% fall! ), at maximum you will be losing Rs 920 bucks. Price Falls More Than 30% Post Record Date. Assume you get allotted and post record date, price falls to say Rs 10, then in all you will be making a loss of Rs 1,950. That’s a 26% loss for a fall in the price of 43%. A risk you have to analyze for yourself. The bet here is on two things viz. you get more shares then allotted and the price doesn’t fall drastically. An interesting bet will be to buy only 38 shares and bid for a lot more shares, even 20,000 shares, hoping to get an average price closer to Rs. 13, which provides a cushion. Too many people are playing it already. You could hedge against a price fall by shorting, say, May futures. May futures trade about 10% below the current market price, and therefore at least that much of a fall is expected in the spot price. This fall in the price could also state that people expect the stock to fall dramatically afterwards. Even Bharti Airtel is planning to raise Rs 25,000 Cr capital via rights issue. Bharti Airtel is offering a discount of 30% on its current market price. 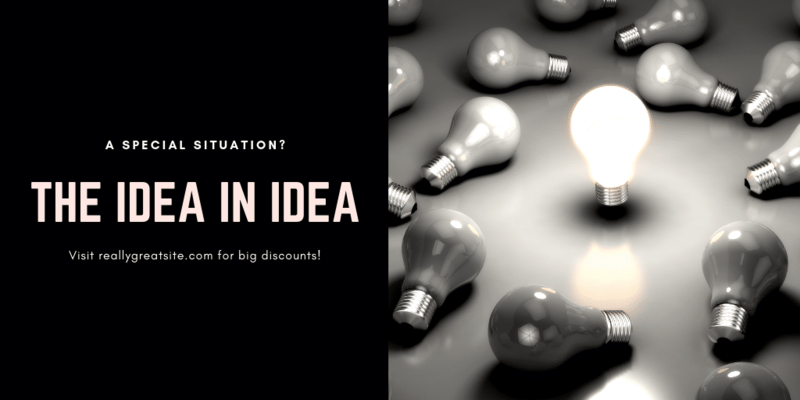 Idea’s is at a 56% discount. There’s no reason to assume Idea will suddenly start performing – just paying off debt is one thing, but to gain revenues or earnings is another. Therefore any bet can’t be longer term. However there is a potential arbitrage for people to buy a very small quantity in the market,and then use that to buy the rights shares. You can bid for more shares, and you should bid for as many as you like. However, there is a risk – of the price falling steeply post the rights issue. (And the rights shares could take time to be credited, about a couple weeks after). On Friday we’ll know the new Idea price, because the record date is early next week. You can only buy on Thursday (April 28th) but not a day after that. But however it goes, you have to apply to the rights issue even if you don’t want to apply for more. Because the dilution will happen across the board. The market cap of Idea is about 28,000 cr. and the new cash will add Rs. 25,000 cr. to it – taking it to a 53,000 cr. market cap, over 2870 cr. shares, with nearly 100,000 cr. of debt. Unless there’s a strong recovery in earning, the Vodafone Idea combine will still need more cash to go through the next few years. If there’s an Idea worth exploring, then it’s only in the rights issue undersubscription arbitrage. Disclaimer: Nothing in this newsletter is financial advice and should not be construed as such. Please do not take trading decisions based solely on the matter above; if you do, it is entirely at your own risk without any liability to Capitalmind. This is educational or informational matter only, and is provided as an opinion. Disclosure: The authors at Capital Mind have positions in the market and some of them may support or contradict the material given above, or may involve a direction derived from independent analysis.